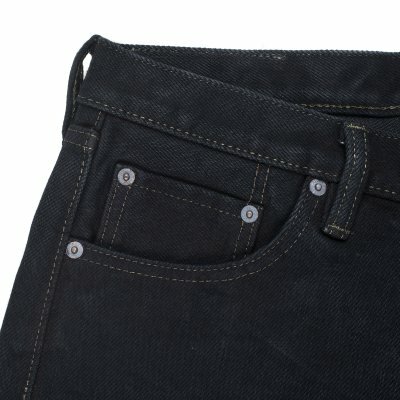 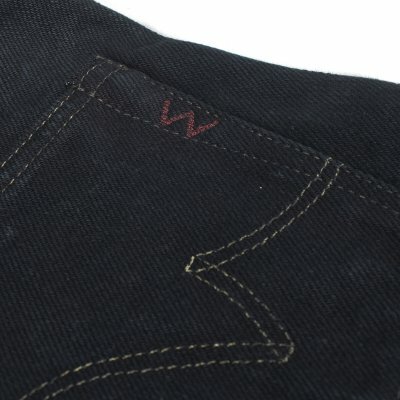 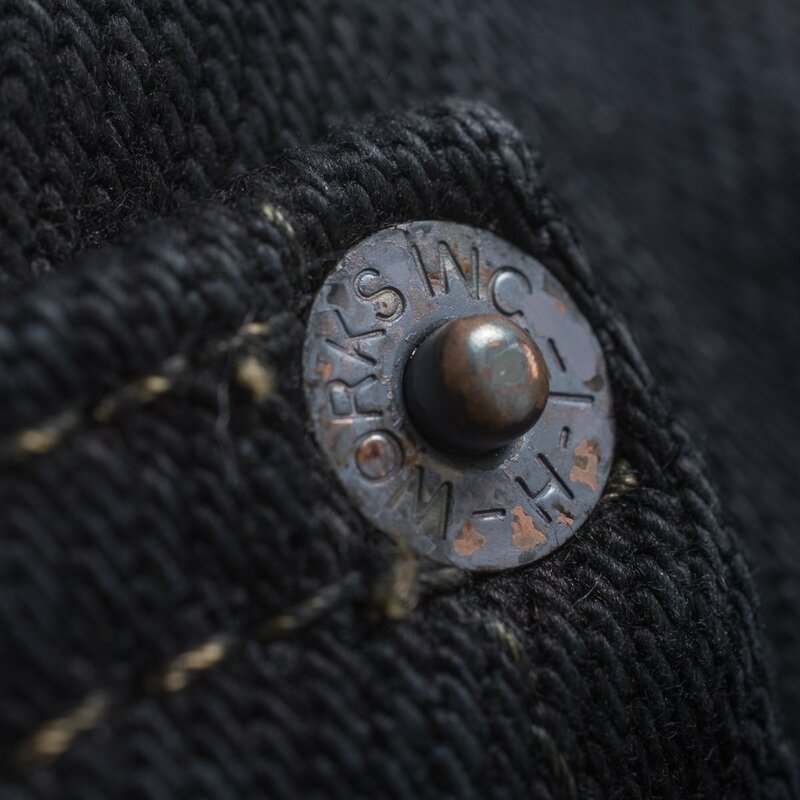 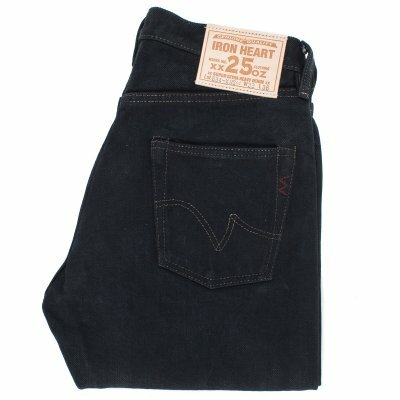 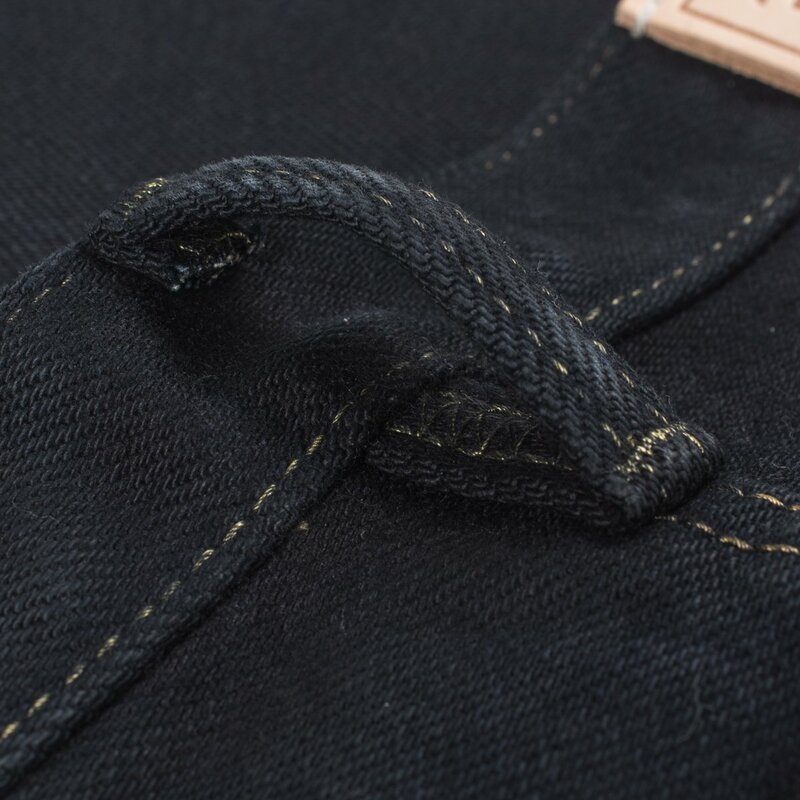 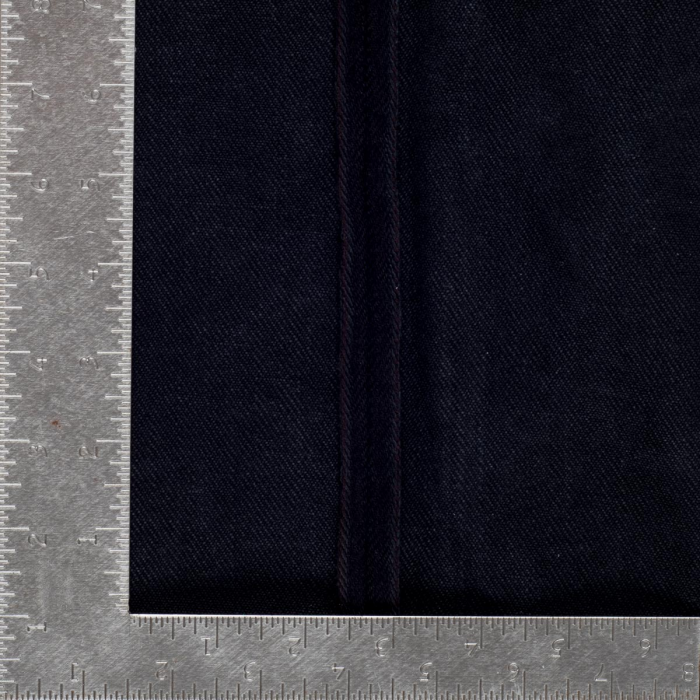 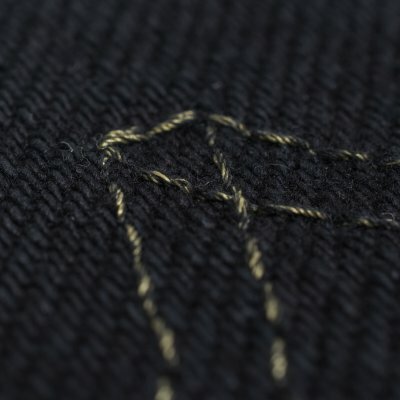 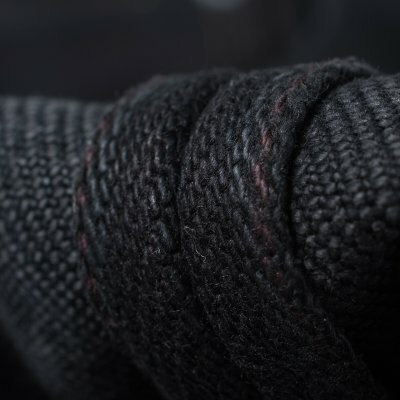 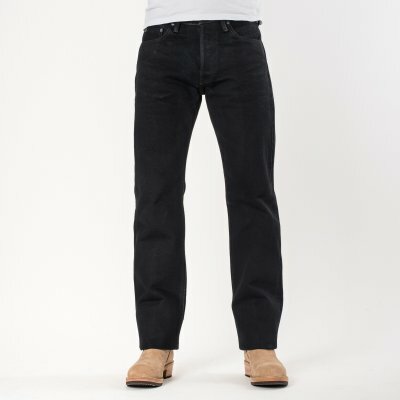 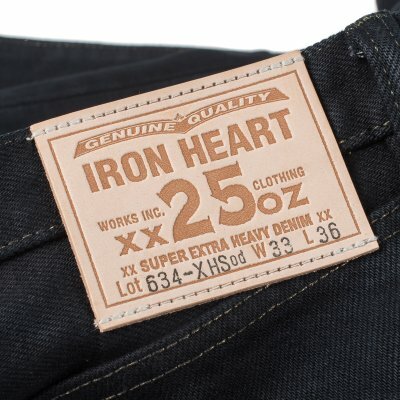 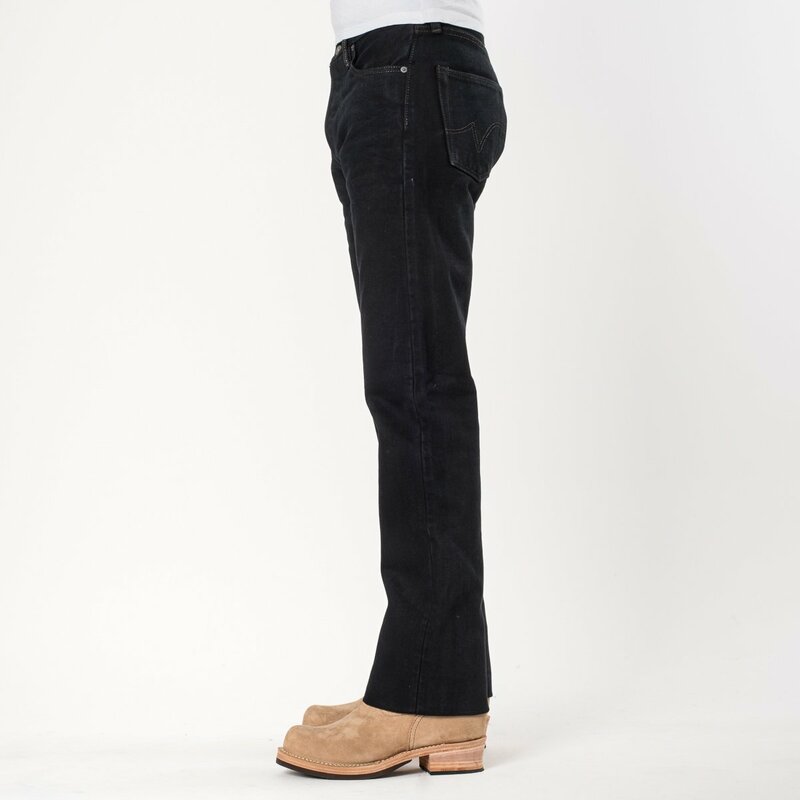 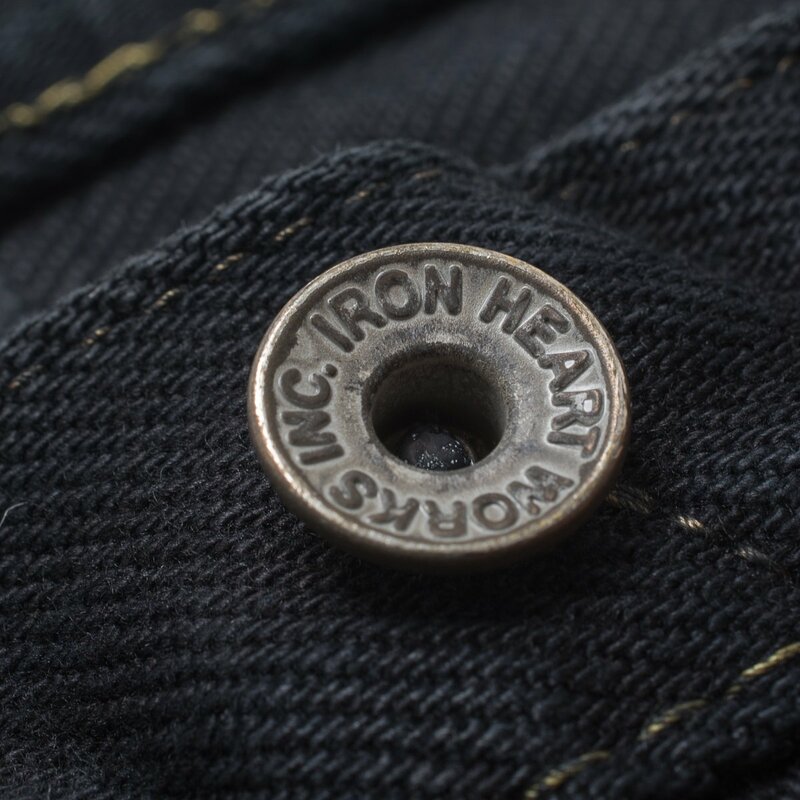 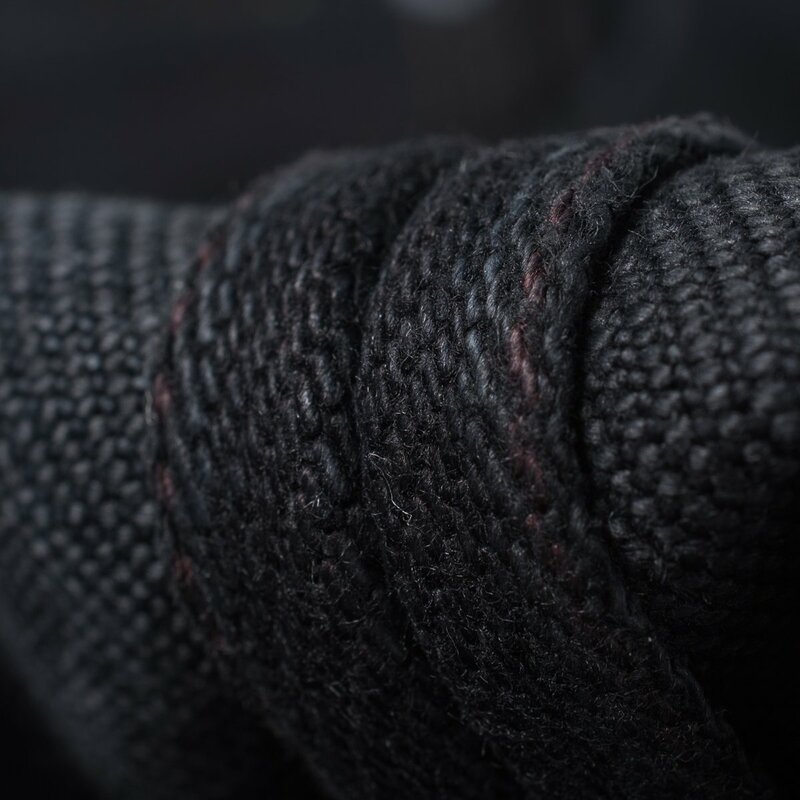 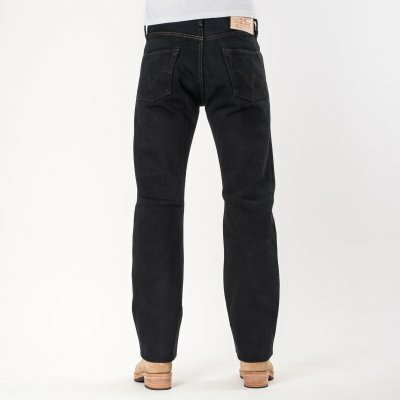 This is our 25oz indigo selvedge denim overdyed with black dye. We make the jeans and then tumble the finished jeans (minus the leather patch) in a vat of dye. 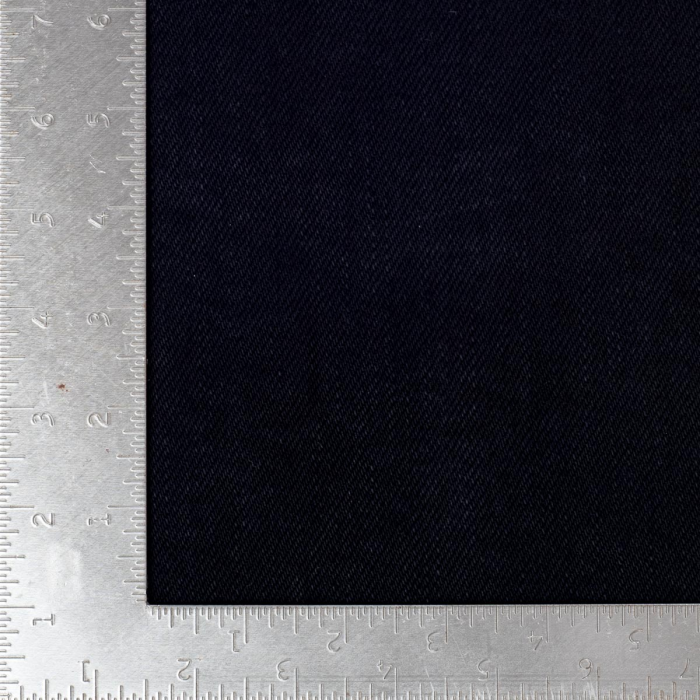 The black dye leaches out over time resulting in a bluey/grey faded colour.